Our Company visited PESTEX TRADE FAIR 2015, held on 25 & 26 March at ExCeL exhibition Centre in London. 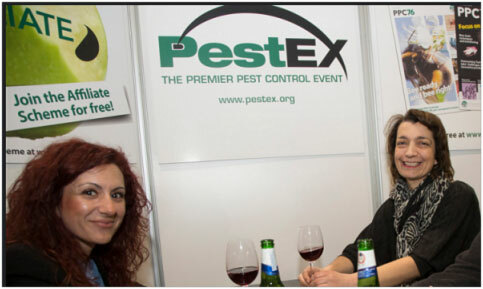 The event was organized by the British Pest Control Companies Association (British Pest Control Association (BPCA). This exhibition is the top of its kind in Europe and one of the best and more crowded in the world. Attended by more than 100 exhibitors from around the world, and several parallel events and seminars. Our company had a number of contacts with European suppliers of pest control products, and participated in seminars on new trends in the industry, but also in innovative pest control products.